Tribes is a new way of creating learning community. The outcome of the Tribes process is to develop a positive environment that promotes human growth and learning. Using these four agreements among the students or adults with whom you are working. Tribes is a very popular way of learning in North America. This is an old but a smart way to spell some confusing words. It worked with me when I was a child. When I explained it to my students, they liked it so much. I hope your students will like it too! 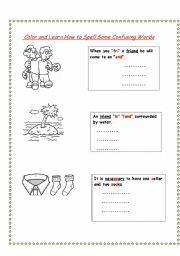 It is a way to make students remember the spelling of some confusing words.Please look at part one of this worksheet. Making a bar graph is one of the activities that children learn in the elementary level. 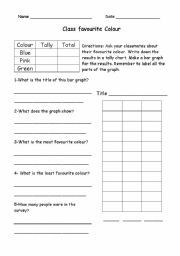 This activity gives students an opportuinty to collect data from thier class and draw a bar graph to represent it. 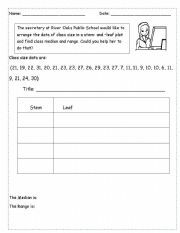 This is a math worksheet that relates to data managements. My students had fun helping the secrtary of the school to arrange her documents!